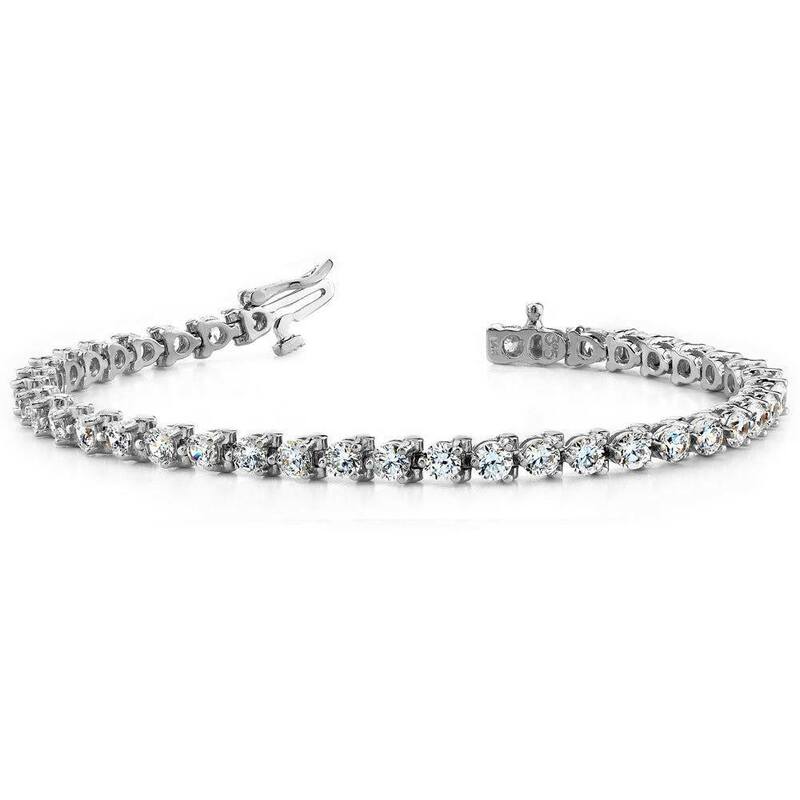 Casual elegance is what this Brilliance Three Prong Diamond Tennis Bracelet in White Gold brings to its wearer. Imagine forty three round cut diamonds, prong-set in white gold on your wrist, setting off your smart casual or semi-formal wear to perfection. Proudly made in the USA, this elegant yet sturdy bracelet features a box catch with a hidden safety. With a total diamond weight of 4 carats, this tennis bracelet is something you’d want to be part of your attire, every single day.